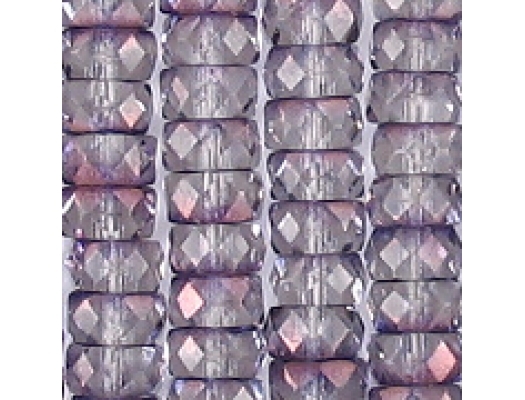 3mm x 6mm rondelles with facets around the outer edge. 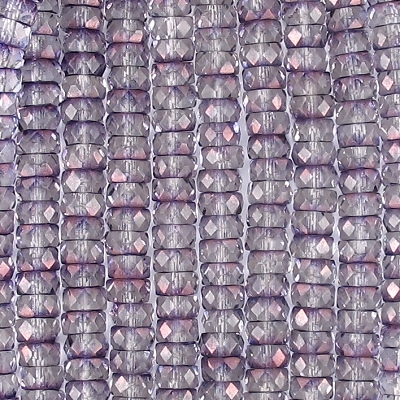 Rondelles are tire-shaped beads with the hole through the center. 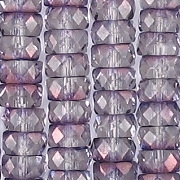 Clear glass with a spray of metallic purple on one side of each bead. I haven't noticed any defects, but fire-polished beads always have some imperfect facets. I love beads with subtle colors like this. However, the dullness of the picture bothers me. I took pictures both inside and out of the light tent, and the ones out of the light tent were just too bright and sparkly, but they were more realistic.